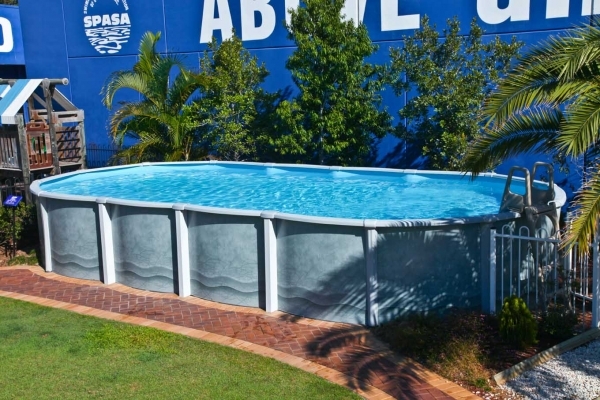 The Aquarius Salt Water Above Ground Swimming Pool features curved resin copings, a braceless design and has a unique double vinyl laminated wall and resin components. The Aquarius has a huge 20 Year Manufacturers Warranty and Australian Engineers Certification for above ground or inground installation. State of the art , double vinyl laminated wall with a modern design which fits into any contemporary or traditional backyard setting. Deluxe Super Strength 160mm curved injection moulded resin copings which are super strong, non-corrosive and stay cool in summer. Curved resin copings are the most recent advancement in above ground pool design. Stylish Resin Coping Connectors and Resin Uprights make the Aquarius the best looking pool and safest. Injection Moulded Resin stays cool under summer sun and is the strongest form of resin coping. BRACELESS! 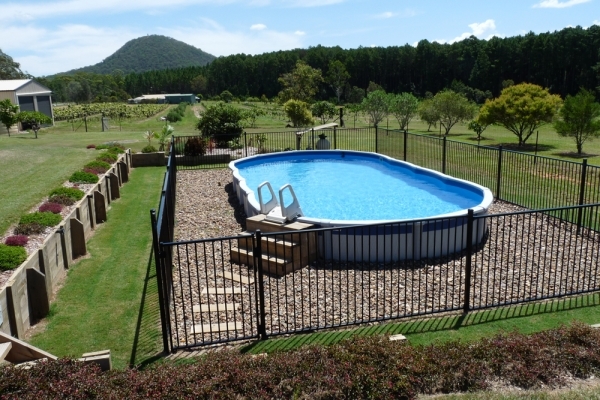 The Aquarius Range of pools feature a Super Strength Braceless support structure which means a great lookng pool with no 'legs' sticking out the sides of your pool.